* Total number of reviews and star-ratings are based on data collected during the time period Delta Plumbing has been using the ReviewBuzz system and may not directly match the data found on each public review site. Jimmy was very known and honest in his assessment of my problem. Delta responded quickly, professionally and gave a fair price for the job at hand. Chris the Service Pro was thorough, clear in explanation and finished the job quickly and to my extreme satisfaction. We enjoyed dealing with Brian of Delta plumbing. He was Very professional, great work ethic, and great overall experience . The problem was quickly diagnosed and the repair was completed in less than an hour. I highly recommend Delta Plumbing. Robert is great. He communicated well by calling me when he is on his way to the job. He gave me clear and concise direction on how to prevent down time with our Tank-less water heaters. I highly recommend Delta Plumbing. I have no complaints with the technicians. They did a very satisfying job and were at all times very professional. The only complaint I have reference the service provided is with customer service upon explaining the cost for services during my calling them. It would be fairer to explain the three level of services Delta Plumbing provides in draining residential septic tanks. The plumber was a young man ( Robert Barnes) who knew his job well. He analyzed the problems well. An underground leak below the concrete. He was able to dig out below the garage / concrete and pull out the leaking pipe and replace. Other estimates were to bust up the concrete before repair causing wasted time/ cost and damage. I would recommend Robert. I had some questions about the job and estimate , as well as the guarantee and talked to Jason at the delta office. . He was helpful and gave me the assurances I wanted. I live in Atlanta. What a pleasure! He is a very polite, helpful and very knowledgeable young man. Very good job he did too. Because of him, I will recommend your company to everyone I know that needs your service. Thank you. Chris was very helpful & polite, and professional . Did a great job! We would recommend him to anyone. Ivan called 30 minutes prior to arrival and reached within that time frame. 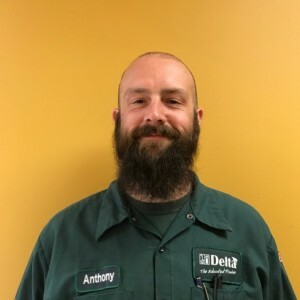 He diagnosed the problem quickly and provided the option of replacing the defective valve in the flush tank or replacing the tank. He finished the work of replacing the valve and testing in my presence in about half an hour. Great job!! keep hearing what we thought was a hot water leak that we couldn't locate. we thought we had leak in concrete foundation. we called delta and talked to Jason whom i assumed was manager. told him what i thought was the problem. he sent a leak detection specialist, Adin out to find our problem leak. Adin first explained what could be the problem and the cost of of fix, which set me back a little. We found out we didn't have a complete house cut off valve to shut off water. Adin called jason and told him. He sent out another tech Jason to install valve. he was prompt and did great job. Adin came back when valve installed and started his search. luckily it wasn't a foundation leak or hot water leak but cold water. problem solved. everyone from Delta did fantastic job. 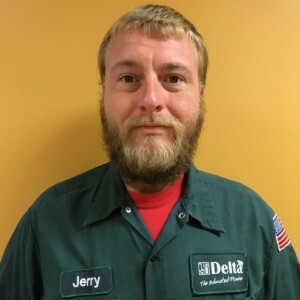 would recommend Delta to anyone that needed plumbing work. thanks delta especially Adin. 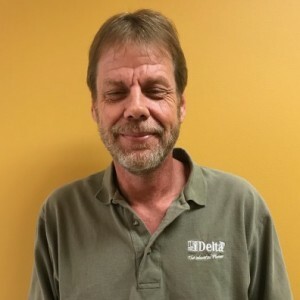 William J. is a knowledgeable Technician who fixed our issue right away. Thank you for all your help. Customer service is always a top priority at Delta Plumbing. Our BBB Membership A+ rating is like a badge of honor as we continuously strive to provide the best experience for our clients. Josh E has a 5-Star rating and leads the company in total reviews, making this pro a ReviewBuzz Rockstar! The repairs were made promply, professionally, and they kept me fully informed at each step of the work. I will continue to use their services. Outstanding customer service and Great communication with us. Great job, very professional service. Josh and another Delta employee came to empty our septic tank. They were quick, professional, and very reasonable with the pricing. 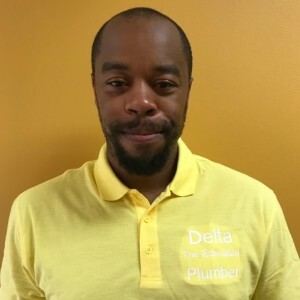 I would definitely recommend Delta Plumbing to anyone in need of plumbing or septic assistance. Josh was very friendly and thorough, that's what I like. Josh was a pleasure to deal with and did a excellent job . Will be calling again when needed . Josh was very knowledgeable and helpful. Josh was informative and professional. Will continue to use Delta Plumbing for our septic needs in the future. 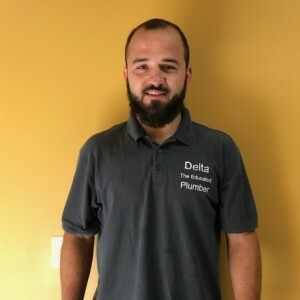 We were very happy with the service from Delta Plumbing and technician, Josh Engel. Josh was very knowledgeable and professional. We will continue to do business with this company.